Completing their latest voyage into the unknown, Alestorm have released their brand new record No Grave But The Sea. A combination of tom foolery and absolute genius, the record was a big surprise for me. Particularly since Pirate Metal was not really my thing, I have since been won over by the scallywags! 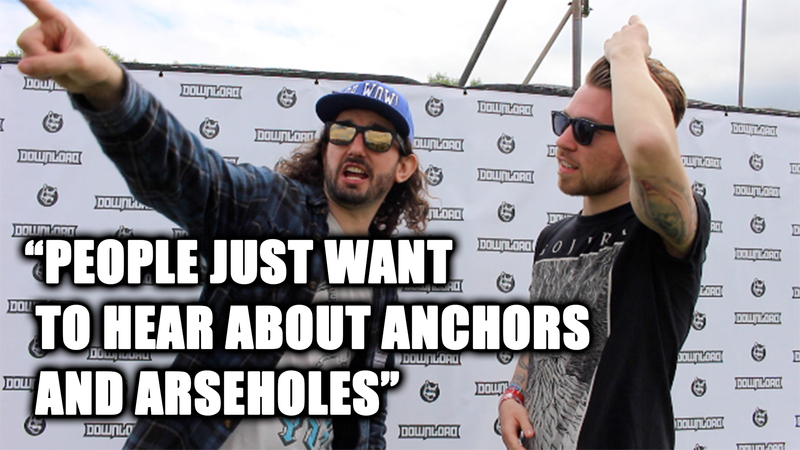 But is there more to Alestorm than just pirates? Of course its an important ingredient in the bands make up theres no doubt but surely it must get a bit boring talking pirates all day everyday? I would definitely want to punch Jack Sparrow after a while! Performing their set at Download Festival last Saturday, Alestorm brought the unlikely combo to the masses for what could only be their biggest festival performance to date. So board the ship and prepare to see what captain (front man) Christopher Bowes had to say about pirates, anchors and wankers! Arggh! Alestorm’s brand new album No Grave But The Sea is out now via Napalm!